PANDIT Dwarka Prasad Mishra, a two-term Chief Minister of Madhya Pradesh, who emerged as an effective power centre in New Delhi in the initial days of Indira Gandhi as Prime Minister (he brokered truce between her and Morarji Desai-making Desai agree to be Deputy PM; the truce was short-lived), once analysed for me and my deceased colleague Udayan Sharma the reason for the inefficacy of Congress in the initial days of Rajiv Gandhi as AICC general secretary. DP Mishra (his son Brajesh Mishra ran the show in New Delhi in the Atal Behari Vajpayee era) lived at 11 Race Course Road (now Lok Kalyan Marg) and from there the politics of 1 Safdarjung Road, the PM House of Indira Gandhi vintage, was manipulated. According to Mishra, who was in those days referred to as ‘Chanakya’, it is the right of every successor to demolish the power structure set up by the predecessor and build a new edifice. Jawaharlal Nehru dispensed with the favourites of Mahatma Gandhi-Ram Manohar Lohia, Acharya JB Kripalani, Acharya Narendra Dev, Jayaprakash Narayan and a host of stalwarts walked away from the Congress in the Nehru era. Lal Bahadur Shastri retained most of the Nehru structure in his short, two-year tenure, during which a major war was fought but there were no electoral contests. When Indira Gandhi took over, aided by the likes of DP Mishra, she created a new power equation. The old guard were summarily eased out or challanged. The 1969 split gave Indira Gandhi a Congress behemoth loyal to her and bound by her thought. The triumph of 1971 and 1972 elections followed. Then came the Allahabad judgment and the consequential declaration of Emergency. The year 1975 saw Indira Gandhi slowly discard her inner circle and the ascendancy of Sanjay Gandhi. Mishra said that while it was the right of Sanjay to create his own coterie, it was perhaps not right for Indira Gandhi to let her chosen successor bamboozle her structure within her lifetime. Be what it may, post 1977 defeat the inner circle of Sanjay Gandhi (nicknamed “caucus” by the Left), tempered by the struggle against Janata Party’s persecution of the former ruling party, emerged as an effective tool. This team, which emerged stronger after the 1978 split in Congress, brought Congress back to power in less than three years of its 1977 rout. Post Sanjay Gandhi’s death in an air crash, a situation arose when Indira Gandhi was surrounded by the inner circle of Sanjay Gandhi, with whom she did not relate much because they were a younger lot and had not been chosen by her. The emergence of Rajiv Gandhi in his earlier days created a further anomaly. The “world” of Sanjay Gandhi remained, around Indira Gandhi and her AICC general secretary son, Rajiv. Mishra cited this lack of connect to the woes of the party, when he interacted with us on a winter evening in 1982. Congress in 2017 is run by Rahul Gandhi. But the “world” of Sonia Gandhi-essentially extension of the team put together by her late husband Rajiv Gandhi, cocoons him. Rahul has created his youth team, but the lever of Congress rests with the old guard and Sonia, who has been keeping indifferent health in recent years. And this fulcrum in recent times has been supplemented by an extra pivot in the form of Priyanka Gandhi. As there is no sibling rivalry, no rough edges have emerged. But efficacy of team building and collective action has been thwarted. Talk of parivar mukt Congress does not seem to go down well with the rank and file. Forty years back, in the aftermath of the 1977 rout, 125 Congress leaders of the level of MPs and MLAs met at 12 Safdarjung Road, the residence of Chandrajit Yadav, on March 27, 1977 (three days after Janata Government was sworn in)and demanded expulsion of Sanjay Gandhi. This move led to Siddhartha Shankar Ray (the man who advised Emergency and later turned dissident when Sanjay differed with him on certain issues) challenging Indira Gandhi’s candidate K Brahmananda Reddy in the election for Congress President in May 1977. Indira-Sanjay backed Reddy carried the day; Ray lost miserably. By the end of the year, Indira Gandhi split the party once again and filtered out an organisation which was vibrant. She had only one General Secretary, Buta Singh. Pranab Mukherjee became the Treasurer. AR Antulay joined the core team some months later. The tragedy of Rahul is that while there are murmurs against him and his charmed circle in some quarters of the party, no one steps up to openly criticise him. At best they strive to keep an ailing Sonia at the helm, perhaps against her wishes, so that their wilting fiefdoms survive. As a first step towards establishing his legitimacy in the party, Rahul may consider a purge-somewhat on the Soviet and Chinese Communist Party style, and sideline the deadwood. IF Rahul Gandhi wants to emerge as a serious contender to Narendra Modi-Amit Shah duo, he must observe and absorb their style of organisational politics. Since 2014, new flowers have bloomed in the Lotus pond. Senior leaders of yore receive respect. And that’s about all. Power is in the hands of new faces. A succession plan is clearly visible in BJP. State units have nurtured emerging leaders. Chief Ministerships have been bagged by hitherto lesser known faces. Congress has immense talent pool-the Youth Congress, Mahila Congress, NSUI activities show new and enthusiastic cadres are emerging. The frontliners of Congress today were the Youth of the 1970s. In four decades, time has perhaps come for them to create space for the future of the party. The front rank of the Congress is made up of many eminent lawyers (so eminent that even while State units of the party agitate on an issue, eg, the Narada scam in Bengal, eminent Congress-member lawyers argue the case of the other party in courts). Without meaning any disrespect to the lawyer community, it needs to be pointed out that the eminence and eruditeness of a lawyer is aimed at winning an argument. Resolution of an issue is secondary. Even if a case is lost, the eminence of the argument is not lost. Rahul may like to concentrate on the interests of the “client”-the ordinary Congress worker who looks up to him while relying on advise of lawyers. The judgment has to be delivered by him. Latin proverb, ultima ratio regum (final argument is of the King), may come in handy on this score. The choice of leader of Congress group in Lok Sabha perhaps was a turning point in the dwindling fortunes of the party. Even with two members, BJP had an impact in 1984. Amrinder Singh, who defeated Arun Jaitley in Amritsar, despite being a former Chief Minister of a major State was made deputy leader under Mallikarjun Kharge, who, while being a senior leader, had no past track record in opposition politics. Amrinder hardly attended the House. Kamal Nath, the senior most party MP and a known fighter of Sanjay Gandhi vintage, was sidestepped. Rahul choses to sit on the second row whenever he makes his seldom appearances. If Congress is to be the principal opposition party, its leadership in the Lok Sabha must be effective. In Rajya Sabha, Ghulam Nabi Azad provides eminent leadership. Rahul may consider donning the cap of party leader in Lok Sabha to give a cutting edge to the Congress image. With Kharge being proposed for the chairmanship of the all powerful Public Accounts Committee (PAC) and with his services likely to be needed for campaigning to retain power in Karnataka, a change in Congress’ Lok Sabha leadership may be in order. The paradigm of politics has been changed by the Modi-Shah duo. Electoral strategy needs not the likes of Prashant Kishore alone. 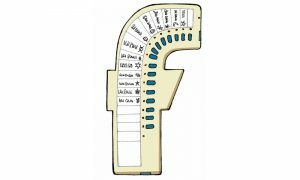 Booth-level party worker is essential. Sanjay Gandhi had recognised the importance of the block committees. He organised a block presidents’ conference in August 1976 in New Delhi’s Pragati Maidan. His associate, Ambika Soni, who planned the show is now a leading General Secretary of the AICC-she could share her experience and help Rahul rejuvenate the grassroots of the party. Congress is not an ideology-driven party like BJP or the Left. It’s a national party with pan-India presence which is unmatched so far, truncated numbers in legislatures notwithstanding. The Congress has always been an umbrella of ideas. To match Modi-Shah duo’s pragmatic populist propaganda, it must come up with a credible narrative which is based on feedback from the bottom. Economists may have divergent views on Modi’s demonitisation. But politically it was what in cricket parlance is referred to as a “Chinaman”. Had Rahul Gandhi triggered opinion gathering at the block level, a clearer picture of the people’s reaction and aspiration would have been available. Congress as a national party could not fathom the impact of demonitisation in political terms while formulating its strategy. Similarly, feedback on schemes like Ujjawala, in which housewives became smoke-mukt were not obtained. While in power for ten years, Congress could not convey the efficacy of its schemes to the people. So much so when UPA’s Nirmal Bharat resurfaced as Swachch Bharat, it was lapped up as an innovation. Congress has to learn how to communicate. And a plausible narrative is a must for this to begin with. 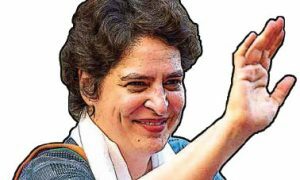 There is clamour for the entry of Priyanka Gandhi in politics. She was in the backroom of the UP campaign strategy. Perhaps her mother’s ill health and an injury suffered by her son kept her from taking active part in the campaign. 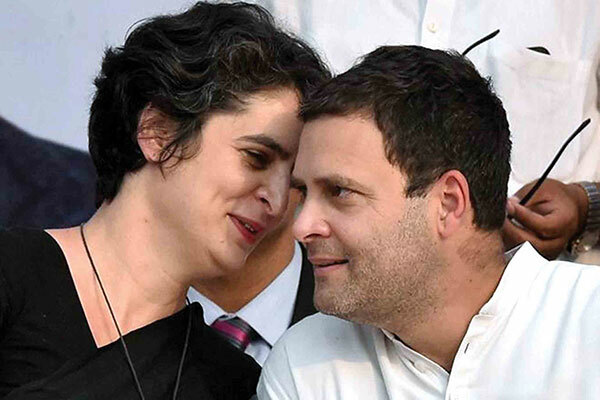 A combination of Priyanka as the organisational head and Rahul as the parliamentary face could put Congress on a trajectory of comeback. 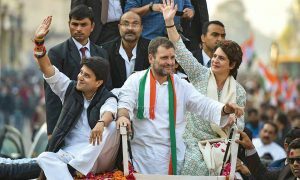 BYE-ELECTION to Phulpur Lok Sabha seat, which should take place before the year is out, could be an opportunity for Congress to recharge its sagging organisation in UP; the traditional seat of Jawaharlal Nehru should be contested in right earnest by his party. Winning or losing an election is part of the political game. Ability to put one’s best foot forward on the play field is essential. In Karnataka, Himachal Pradesh and Gujarat, where Assembly polls are due next, the Congress will be face to face with BJP. Ditto in Chhattisgarh, Madhya Pradesh and Rajasthan. Organisation in these States have to be rid of infighting, to begin with. Cover Story : Nitish or Mamata – Who’ll challenge Modi in 2019?